I made this card and thought it would be suitable for my youngest granddaughter Lauren. Maybe you have one last card to make so make it to our theme and join in with us this week. As always a superb card Pat. 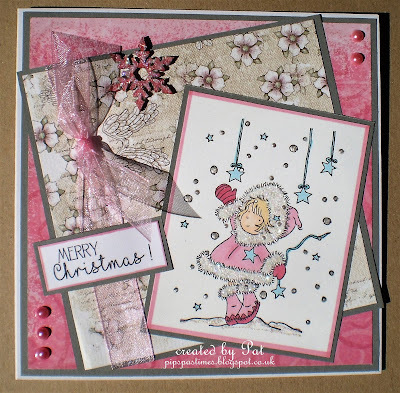 Perfect Christmas card for a little girl...don't they just love pink! Sweet image and a beautiful design. So sweet - I love LOTV images!! 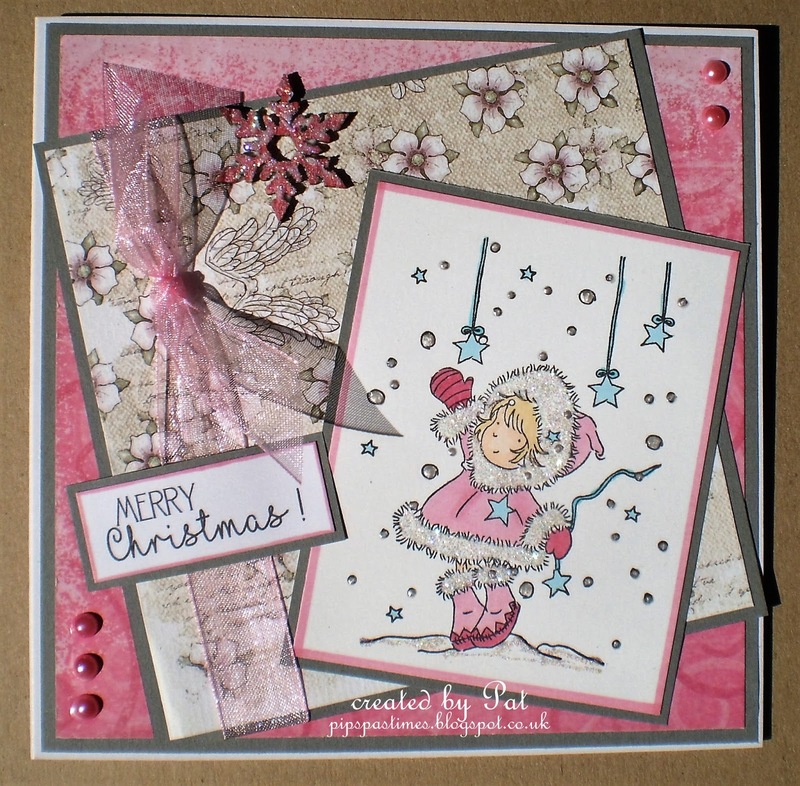 Such a pretty card Pat, a sweet image and lovely design. Gorgeous card, Pat. I love all the different shades of pink with this adorable image - just right for a young girl. Your granddaughter will love it..!! Have a good afternoon and evening.